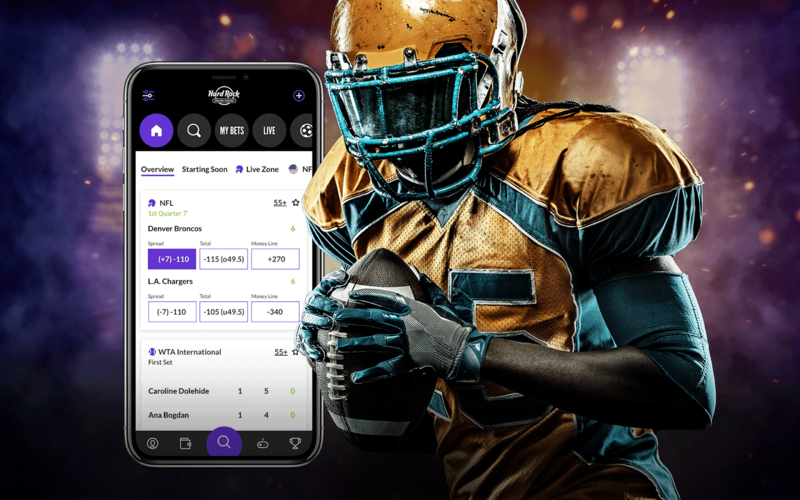 Hard Rock has chosen the full suite of GiG’s sports betting services including GiG Sports Connect, GiG Trader and GiG Goal. The offering is supplied as a full omni-channel solution with Over the Counter (OTC) wagering and Self Service Betting Terminals (SSBT) available in the Hard Rock Hotel & Casino Atlantic City as well as online via desktop and mobile. There is potential to expand the partnership further in the future in other US states. The supreme court in the US recently revoked the federal ban on US sports betting opening up for state-by-state regulation. More than 20 states with a total addressable market of around half of the US population are expected to open up by the end of 2023. The total middle market range is estimated at $6bn split 50/50 offline and online, where online will be dominated by mobile (source H2GC). The recent update of the National Football League’s policy on commercial gaming lifted the restriction on Hard Rock’s future sportsbook operation in Atlantic City. Operators of casinos and sport books can now be naming rights partners of NFL venues, subject to certain conditions. Hard Rock International became Miami Dolphins stadium naming partner in 2016 with an 18 year agreement. Hard Rock is an existing partner of GiG. To date this year GiG has provided Hard Rock with its flexible, robust and scalable technical platform service and its best-in-class front end website service GiG Magic, supporting Hard Rock to go live with its casino offering in New Jersey, US on 3 July 2018. Robin Reed, CEO of GiG, says: “I am proud and delighted to have signed this agreement with our partner Hard Rock, our first inroad to sports betting in the exciting US market. It also headlines our continually strengthening partnership with Hard Rock across our iGaming ecosystem. It was a highly competitive pitch against the best Sportsbooks in the world, all vying to open up the US market. Hard Rock choosing GiG to power its Sportsbook, is a clear statement as to the quality of our cutting-edge sports betting services at this very early stage of their roll-out. Hard Rock is a strong brand with scale, wide reach and with the same high ambitions as us. We look forward, with excitement, to continuing to support Hard Rock’s expansion and geographical growth. Gaming Innovation Group Inc. is a technology company providing products and services throughout the entire value chain in the iGaming industry. Founded in 2012, Gaming Innovation Group’s vision is ‘To open up iGaming and make it fair and fun for all’. Through the ecosystem of products and services, GiG is connecting operators, suppliers and users, to create the best iGaming experiences in the world. Gaming Innovation Group operates out of Malta and is listed on the Oslo Stock Exchange under the ticker symbol GIG. With venues in 74 countries, including 185 cafes, 27 hotels and 12 casinos, Hard Rock International (HRI) is one of the most globally recognized companies. Beginning with an Eric Clapton guitar, Hard Rock owns the world's most valuable collection of music memorabilia, which is displayed at its locations around the globe. Hard Rock is also known for its collectible fashion and music-related merchandise, Hard Rock Live performance venues and an award-winning website. HRI owns the global trademark for all Hard Rock brands. The company owns, operates and franchises Cafes in iconic cities including London, New York, San Francisco, Sydney and Dubai. HRI also owns, licenses and/or manages hotel/casino properties worldwide. Destinations include the company’s two most successful Hotel and Casino properties in Tampa and Hollywood, FL., both owned and operated by HRI parent company The Seminole Tribe of Florida, as well as other exciting locations including Atlantic City, Bali, Cancun, Daytona Beach, Ibiza, Orlando, Shenzhen and San Diego. Upcoming new Hard Rock Cafe locations include, Maldives, Manila, Malaga, Georgetown, Fortaleza, Rosario and Chengdu. New Hard Rock Hotel, Casino or Hotel & Casino projects include Berlin, Budapest, Dublin, London, Los Cabos, Maldives, New York City, Ottawa, Sacramento, Dalian and Haikou in China. In 2018, Hard Rock International was recognized as a Forbes Magazine Top Employer for Women. For more information on Hard Rock International visit www.hardrock.com.